Could PR be decolonized in the ballot box? Puerto Rico could never be decolonized via the electoral process, just like the United States Government (USG) could never have colonized Puerto Rico that way either. That is why, it chose to militarily invade Puerto Rico on July 25, 1898. Puerto Rico’s illegal colonial status with the USG for the past 120 years is the result of an act of violence! Oscar López Rivera spent almost 36 years in jail for trying to get the USG out of Puerto Rico by force. But Oscar, and anybody who is colonized, has the right under international law to use any means necessary to decolonize his homeland. The USG, however, believes in the use of violence to colonize people, but not for colonized people to decolonize themselves. 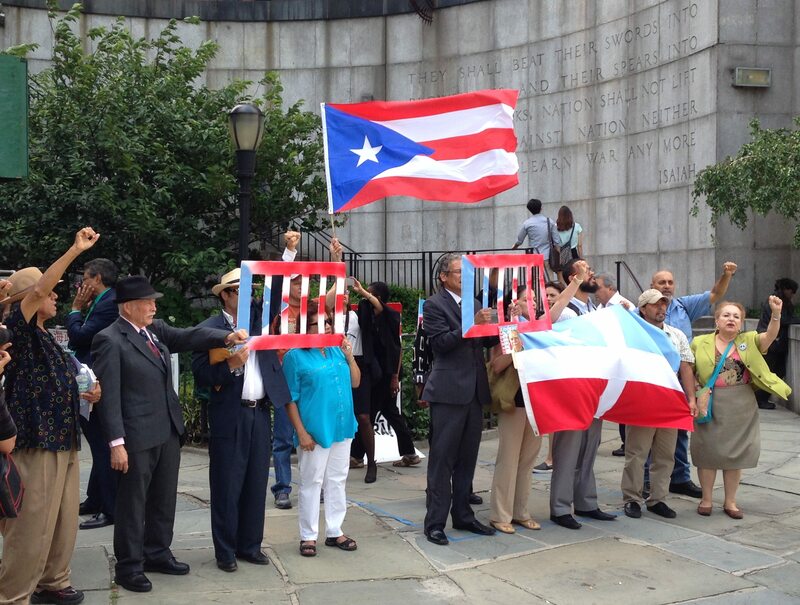 The USG’s Puerto Rican brainwashing has been so successful that many of them were against the New York City Puerto Rican Day Parade’s decision to honor Oscar. Many of the parade’s sponsors responded to that by withdrawing their endorsements, including Goya! Why hasn’t Puerto Rico been decolonized? The majority of Puerto Ricans believe that Puerto Rico could be decolonized electorally. These comrades don’t understand that the electoral process is controlled, just like everything else in its colony, by the USG. The USG wants to keep Puerto Rico as its colony forever. The USG makes a fortune having Puerto Rico as its colony. That is why it has violated for 73 years the United Nations’ (UN) Charter that prohibits colonialism, and its 37 resolutions asking it to immediately return Puerto Rico’s sovereignty to the Puerto Ricans.